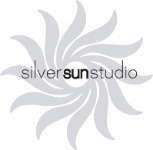 Welcome to Silver Sun Studio. Since 2005, our company has specialized in high-end video production and corporate photography. From Voice-overs and original music scoring to super high-def video and animation, our name and crew are synonymous with excellence in production. We specialize in TV commercials, radio spots, independent films, commercial photography, training video, Internet marketing and so much more. We have state-of-the-art technology and use Canon and Panasonic cameras as well as drones to get the best images and footage for your project.